Z-Man Games announces the release of The Norwegians, an expansion that continues the epic saga of the critically-acclaimed A Feast for Odin, providing a host of new lands to discover, more wares, more animals, new challenges, and a multitude of new actions to perform. Will you lead your tribe to glory? 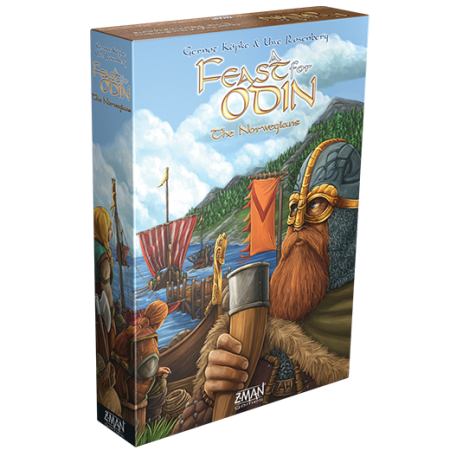 Keep an eye on our website for more articles about the new options and strategy presented in A Feast for Odin: The Norwegians available for preorder now. The Norwegians will be $39.99 and release in late 2018.